The Estonian capital, Tallinn, is to host the annual NATO Locked Shields cyber exercise from 8-12 April – the world’s largest of its kind. The exercise is organised by the Tallinn-based NATO Cooperative Cyber Defence Centre of Excellence. The annual exercise is a unique opportunity for national cyber experts to practise protection of national IT systems and critical infrastructure under the intense pressure of a severe cyberattack. The exercise will highlight the increased need for a better functional understanding between various experts and decision-making levels. The organisers integrate the technical and strategic game, enabling participating nations to practice the entire chain of command in the event of a severe cyber incident, from strategic to operational level and involving both civilian and military capabilities. “Considering the current cyber threats that are concerning nations the most, the exercise will address the protection of vital services and critical infrastructure,” the organisers said in a statement. According to the exercise scenario, a fictional island country, Berylia, is experiencing a deteriorating security situation. This falls at a critical time for Berylia as the country is conducting national elections. 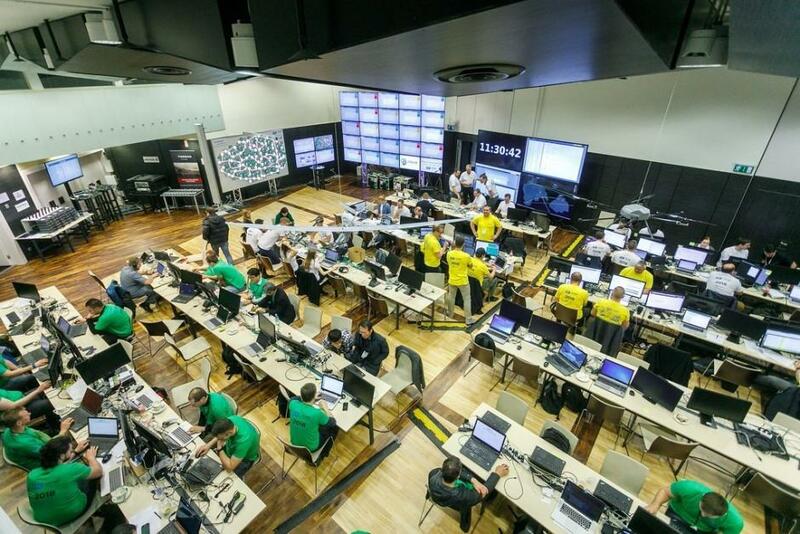 The organisers of the exercise gather in Tallinn, Estonia, but the participating Blue Teams set up secure online access from their home base. Locked Shields 2019 is organised by the NATO Cooperative Cyber Defence Centre of Excellence in cooperation with the Estonian Defence Forces, the Finnish Defence Forces, the United States European Command, National Security Research Institute of the Republic of Korea and TalTech. Cover: Locked Shields operation room in 2018.